We’ve spent 2014 getting to know developers who are building a wide range of new era and enterprise applications on cloud infrastructure solutions like Amazon Web Services (AWS). In our effort to better understand the needs of cloud developers, we surveyed 126 developers who attended AWS re:Invent 2014 and asked them about their database needs and existing deployments. Cloud developers love Python. 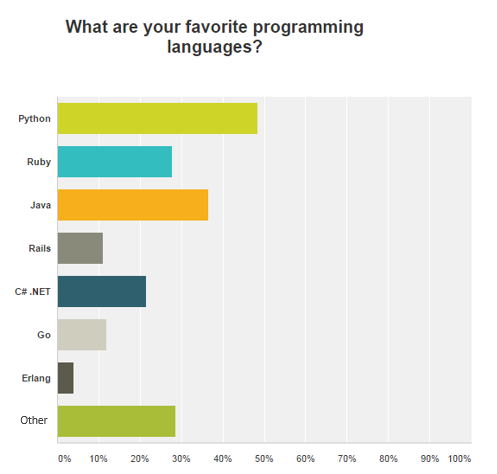 Popular programing languages among participants include Python, Java, and Ruby. Developers also love MySQL. 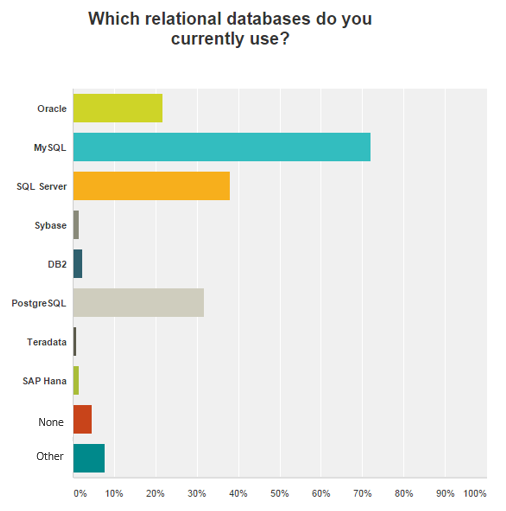 More than 70% of the developers surveyed use MySQL, and other popular relational databases such as SQL server and PostgresSQL. 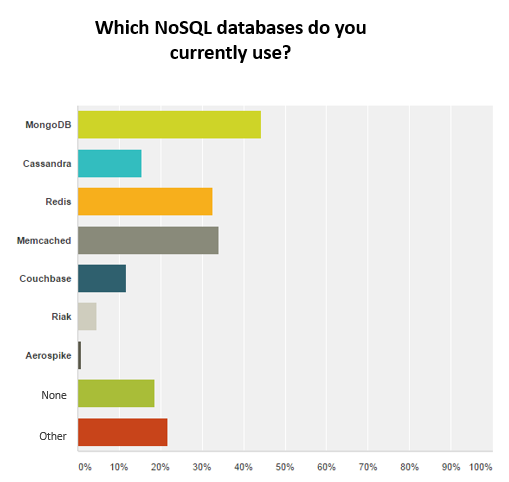 More than 45% of respondents use a NoSQL database. The most popular NoSQL databases used by AWS developers are MongoDB, Memcached and Redis. 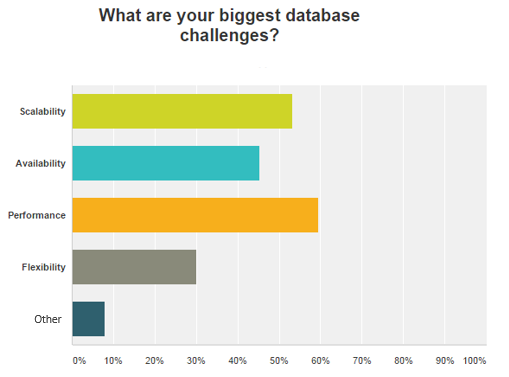 The goal of this survey was to show how a sample of the developer community engages with various databases. Data is provided as benchmark only. Questions? Let’s discuss over twitter via @cameronperon and @redislabsinc or via email.